Early on the morning of 1st September 1939 German forces invade Poland. Major Jan Kopernik, Wielkopolska Cavalry, stands ready to defend Poland and prepares for battle. Anna Kopernik, his wife, an assistant Professor at the University of Krakow, is woken in Warsaw by the sound of German bombers. In the tragedy that befalls Poland everything that they ever knew is lost. Separated by the war they try to survive and keep the hope alive that they will one day be reunited. Poland succumbs to the armed forces of Nazi Germany and Soviet Russia and is occupied. The remnants of the Polish army escape to France and then Britain to continue the fight. 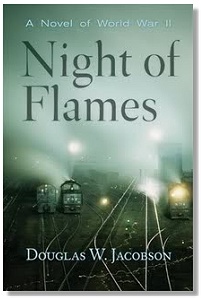 Resistance in Poland to the invaders goes underground and a covert war of sabotage begins. Both Jan and Anna take part in that resistance determined to regain both their country and each other. Publisher - Published by McBooks Press in 2006. The author Douglas W Jacobson has a website about his books. This page was added on 23 February 2009.